SINGAPORE - A researcher from the Singapore Botanic Gardens has discovered two new plant species - flowering herbs - that are unique to this country. Biologist Jana Leong-Skornickova, together with staff from the National Parks Board (NParks), discovered Hanguana rubinea growing near streams in primary lowland forests in Bukit Timah, Mandai, Seletar and MacRitchie, and Hanguana triangulata in Bukit Timah and Seletar. The findings were reported in the NParks-produced science journal Gardens' Bulletin Singapore. Here are some interesting things about each of them. 1. 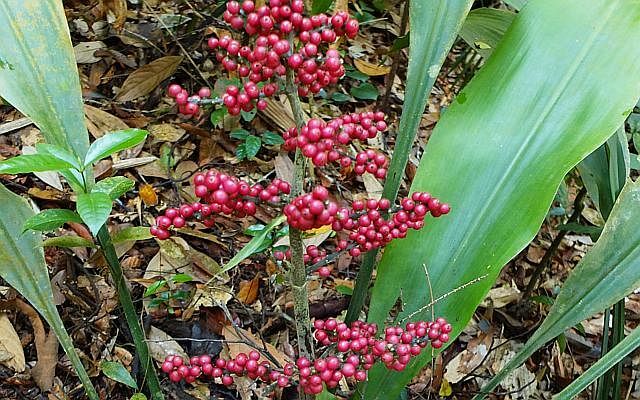 The plant was named after its ruby-red, dark pink fruits that produce yellow juice when disturbed. 2. It grows on the slopes of or close to small streams in partially disturbed primary lowland forest. 3. Based on records over the past 30 years, it can be found at four locations in Singapore - Bukit Timah, Mandai, MacRitchie and Seletar. 4. Found only in Singapore, the plant is critically endangered at both national and global levels. Its small population and habitat disturbance are the biggest culprits. 1. The plant was named after the sharply triangular shape of its stigma (the female part of the flower). 2. It is an undergrowth species found close to streams in primary lowland evergreen forest. 3. 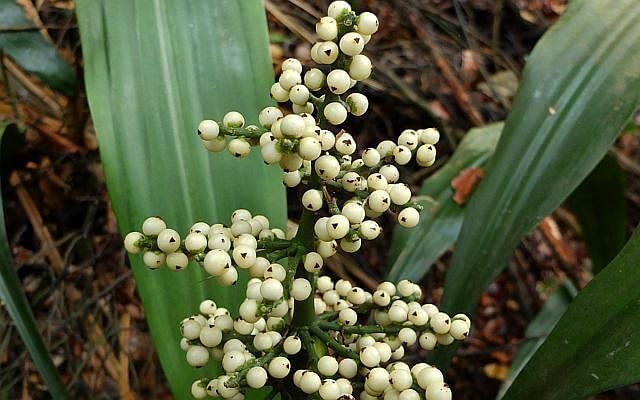 The plant can be found in Bukit Timah and Seletar. 4. Found only in Singapore, the plant is critically endangered at both national and global levels.